Would you try another book from Allen Steele and/or Peter Ganim and Allen Steele ? 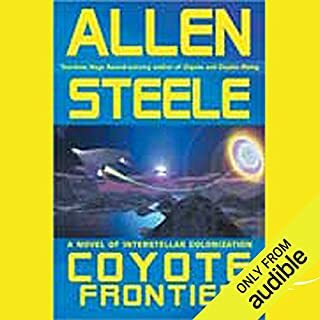 What could Allen Steele have done to make this a more enjoyable book for you? I am so sorry I purchased this book and the next in the series. Is it possible to give zero stars? I was on a 16 hour flight, hoping to listen to science fiction. Instead it was just bs about religion & environment. I can't remember being more disappointed. I erased them from my mp3 player and library as soon as I could. I remain angry that I paid for this and will make sure that my friends will not make this mistake.